Bloomberg Model 3 tracker, the widely followed VIN based Model 3 production estimator predicts that Tesla has built 49,769 Model 3s during the third quarter, just few hundred units shy of the company’s Model 3 guidance of 50,000 to 55,000 Model 3 units. According to Bloomberg Model 3 tracker, “Tesla has manufactured 90,799 Model 3s so far and is now building approximately 3,486 a week”. 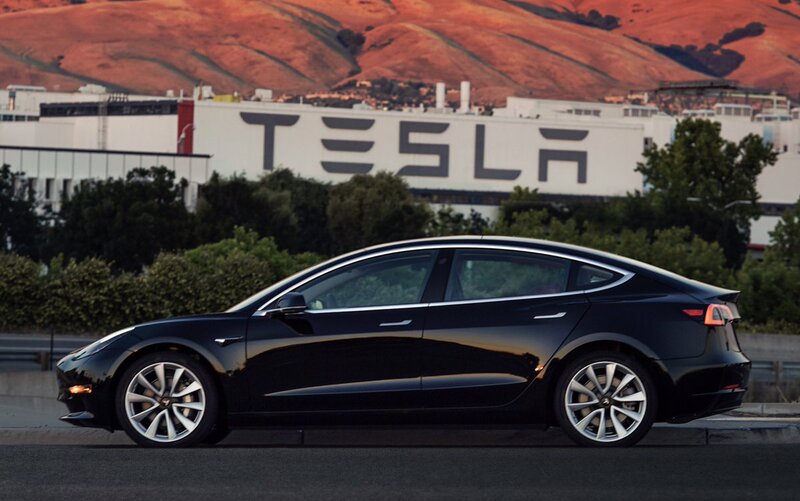 If Tesla manufactures 3,500*2 Model 3s in the next two weeks, Tesla will easily sail over the high end of its Q3 production guidance (50,000 to 55,000 Model 3s). It will be a huge morale-boosting achievement for Tesla, as the company has come a long way from building just 2,425 Model 3s in the fourth quarter of 2017 to building nearly 60,000 units in the third quarter of 2018. Questions about Model 3 production ramp and production issues go hand in hand. The more we get closer to the end of the quarter, the more such questions and such articles flood the internet. According to Bloomberg Tracker, which has got its numbers right more often than getting it wrong, Tesla has already built nearly 50,000 Model 3s during the third quarter and the company is now building around 3,500 Model 3s per week. If Bloomberg estimates hold over the next few weeks, Tesla will finish its third quarter building 55,000 to 60,000 Model 3s.